Before that, a little about me. I am an avid sports fan - love the Toronto Maple Leafs, the Blue Jays, and the Raptors, and have been since I was very young. Talk to me about any of these teams, and you may regret starting that conversation! I spend the majority of my free time with my wife and two young children, otherwise, you'll find me trying unsuccessfully to get rid of my "dad bod" by working out, running, and swimming. I ran the Toronto Scotiabank Waterfront Marathon in 2012 and my goal is to get back to that fitness level. From the beginning, I've always had a passion for helping people. I know that sounds cliché, but it's true. Health care was always the way to go for me, but I was always drawn into optometry. As an optometrist, I can help the vast majority of people's concerns, complaints and issues when they walk in. You see blurry images? Chances are, glasses or contacts lenses can help with that! I wanted to establish my own optometry office so I can practice the way I felt best served my patients. That's something I take very seriously. Ever since graduating from the Illinois College of Optometry in 2010, I've practiced in many different modalities, from group, private, corporate, volunteer, senior homes and community settings. I've pretty much done it all. I am definitely the happiest in my own private practice - Chan Optometry. 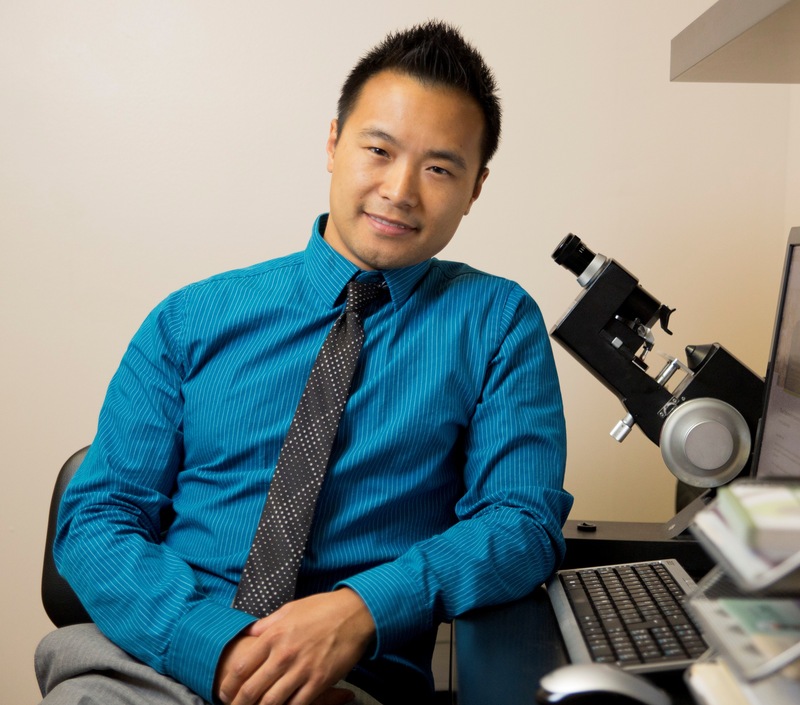 Through Chan Optometry, I have the independence and freedom to work the way I see fit. I can set my own schedule to accommodate my patients' needs and ensure they (and I) do not feel rushed throughout the comprehensive eye examination. I can provide the best equipment to facilitate diagnoses and treatment/management plans, and train my staff to reflect the way I want to be treated as a patient. 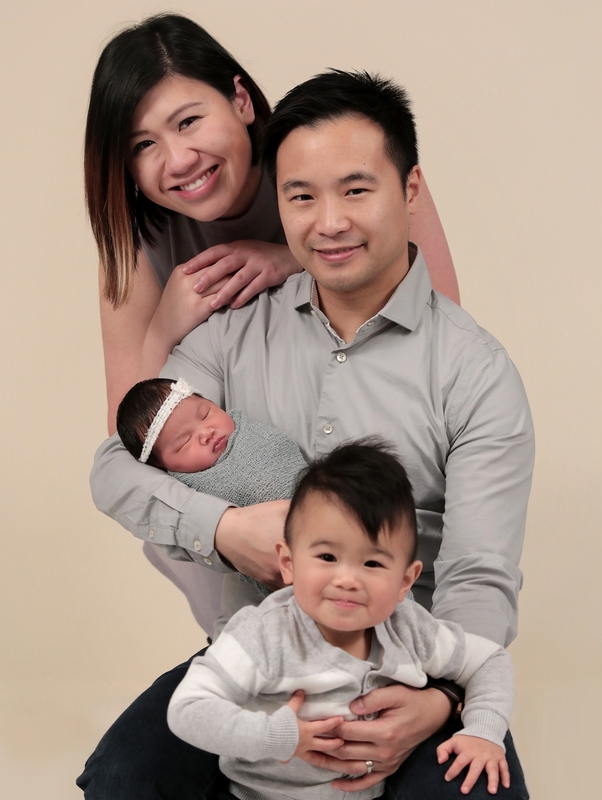 In the end, our goal is to help the people of Markham and surrounding area see better, be healthier, and ultimately feel that you were treated like family here. It gives me great joy knowing that as an optometrist, I can help my patients. Whether it's helping them see clearer and more comfortably through glasses or contact lenses, treating and managing their eye diseases like cataracts, glaucoma or macular degeneration, or helping them through a tough time, it humbles me knowing that you've placed your trust in me and my knowledge. As such, I try my best to not only live up to, but exceed those expectations today and tomorrow. Our mission at Chan Optometry is to ensure that every question that you may have gets answered, so you're armed with all the information necessary to make informed decisions about the health of your eyes. I can still remember the first time I opened the doors of Chan Optometry. There were so many hurdles to cross, and there were many times where I questioned my decision of opening up a private practice. Financial burdens for example - typical rule of thumb when starting a private practice cold is that in the first 3 years of practice, you will not bring home a single dollar. In fact, you will lose money, and hopefully you can hold out for those 3 years and not go bankrupt. How many of you would take that type of risk and financial hardship? I was very lucky to have a very supportive family and girlfriend (now wife) that encouraged me to follow my dream. On top of all of that, I still have student loans to pay off! I always tell my colleagues and friends that opening up a practice has its comparisons. Like having a baby, you will think about it all the time. You will question your decisions about it all the time. It WILL cause you stress, loss of sleep, and even loss of hair. However, at the end of the day, you will love it unconditionally, and it will give you immeasurable happiness. Over the past couple of years, there has been some major advancements in the eye care industry that I'm really excited about. Myopia, or nearsightedness, is considered an epidemic and its progression can lead to glaucoma, retinal disease and even blindness. In fact, myopic progression is now classified as a disease by the World Health Organization. Before, we had no other viable option but to just give an updated prescription to help you see better. Nowadays, myopic control through orthokeratology, atropine eye drops, or peripheral defocus contact lenses are treatment options to help slow the progression of myopia. Just saying, "here's a new prescription for glasses, see you next year!" no longer cuts it. Want more information about myopic control, atropine, or orthokeratology, come see me! Chan Optometry would not be successful without the help of my patients. The vast majority of my new patients are friends and family of previous patients that have referred them to us, and for that, I am truly grateful. Thank you once again from the bottom of my heart for putting your trust of your eye health in my care. Thank you so much for taking your time to getting to know me. Time is the ultimate currency and I definitely appreciate yours. If you or someone you know can benefit from our expertise in eye care in Markham, Richmond Hill, Scarborough, North York, Aurora, Newmarket, Vaughan or any other surrounding areas, please do not hesitate to give us a call or email for a comprehensive eye examination appointment! Please visit my website at www.chanoptometry.com.